Time to enhance your charming appeal with this black flare dress offered by ELI. The dress is a perfect pick for any party or a social gathering. 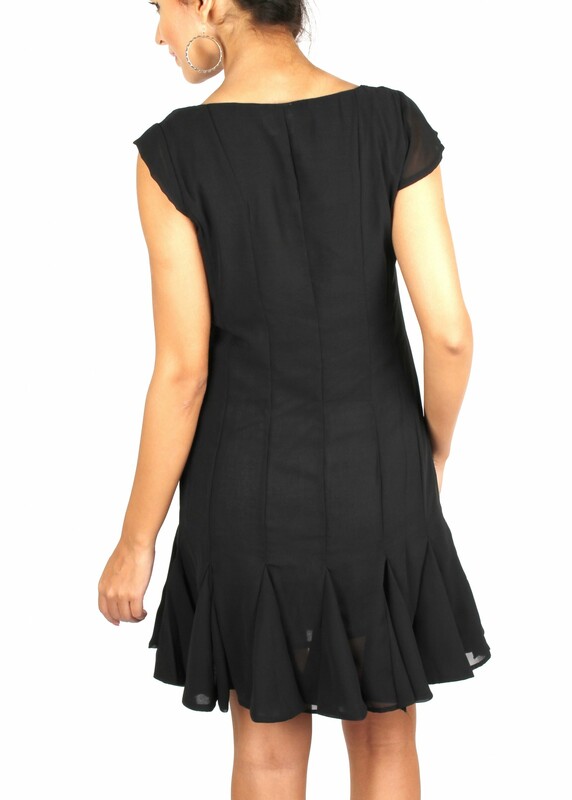 Time to enhance your charming appeal with this black flare dress offered by ELI. The dress is a perfect pick for any party or a social gathering. The cap sleeves, the intricately made plates and the flawless fit makes you want it even more. Each part of the flare has been made separately giving a new meaning to a flare dress.